How soon should I expect my goods to arrive from point of purchase? If it is a piano/digital piano that you are purchasing, the delivery time is 10-12 working days from stock – this is often sooner – please contact us for exact delivery times on specific piano products. If the item can be posted or mailed via carrier then our delivery time is 2-3 working days. It is recommended that you should tune your piano twice a year. However, if your piano has extended regular use i.e. piano teacher, then it should be tuned 4 times a year (every quarter). Submit your details HERE to arrange your piano tuning – we have a large database of accredited, qualified piano tuners all over Europe. The choice is yours! We have listed below just the main features that differ the purchasing of a new piano compared to a used piano. What is the difference between a real piano (acoustic) and a digital piano? This is a very commonly asked question and it is important to take great notice of its answer! A digital piano does NOT replace an acoustic piano – these are in fact two separate instruments, as is a guitar and a violin. 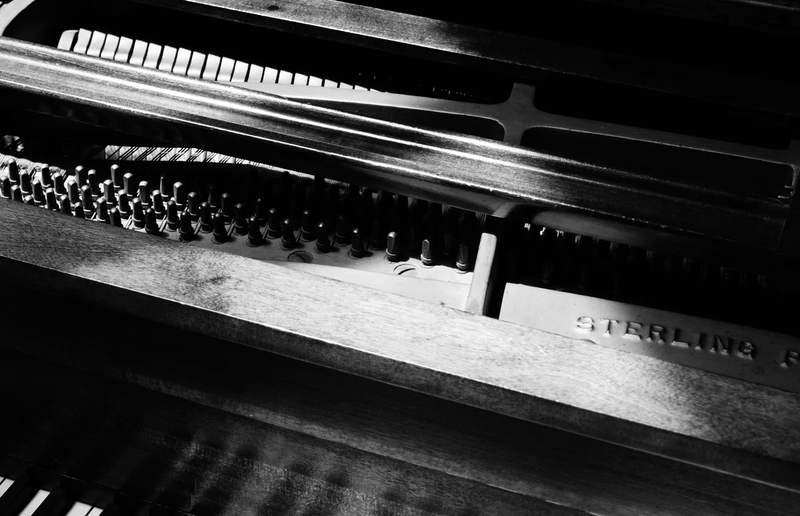 A real piano has metal strings which vibrate when struck by the hammer – the sound produced is amplified by the real wood soundboard which ‘transports’ the sound waves across the ‘board’ creating a full embodied tone. This is different from a digital piano which is reliant on speakers and electronic amplifiers to produce ‘sound’ which compared to a real piano is non-resonant and severely lacks proper sustain. A real piano also has ‘hammers’ which strike the strings causing them to vibrate as mentioned above – due to this movement a real piano has a very unique, definite touch which cannot be replicated in a digital piano as these do not have hammers that move and contact strings etc. VERDICT: always buy a real (acoustic piano) over a digital piano. The myth that a digital piano is more compact than a real acoustic piano is not true – if a digital piano has the full size keyboard then it will be the same size as a real piano anyway! A real piano will always be a safer investment as digital pianos are superseded with new models all the time (note the length of time that manufacturers put on digital pianos is much shorter than on their real pianos). Most importantly the overall playing experience is vastly different, so if you are looking to learn the piano PROPERLY then it is imperative you purchase a real piano because of the reasons outlined above.